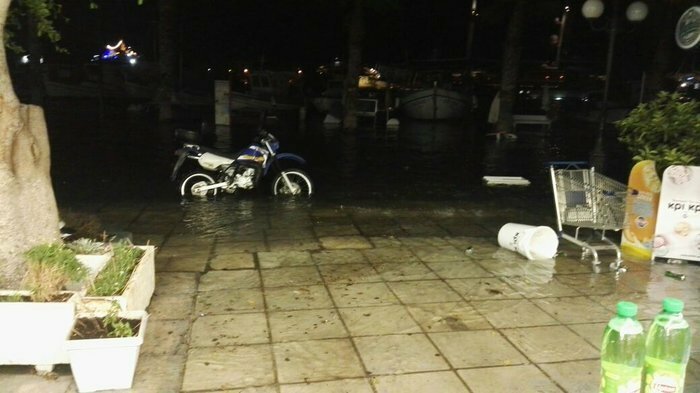 The port of Kos suffered severe damage from the deadly earthquake that struck the island in the early hours of Friday. 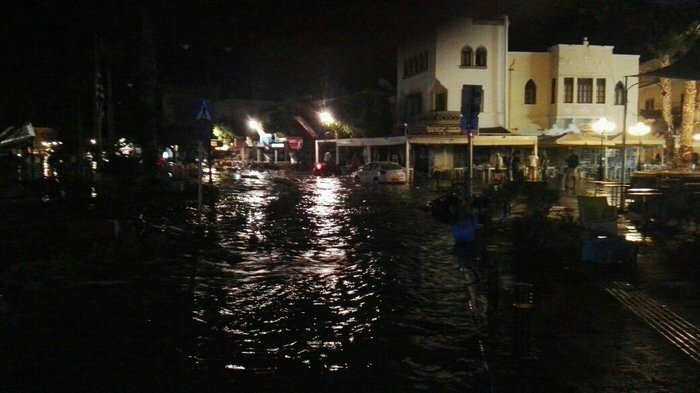 Photographs show that parts of Kos town were flooded from the mini tsounami that followed the earthquake. Passenger ferry Blue Star Paros with hundreds of passengers on board could not dock to the port and sailed to nearby islands. 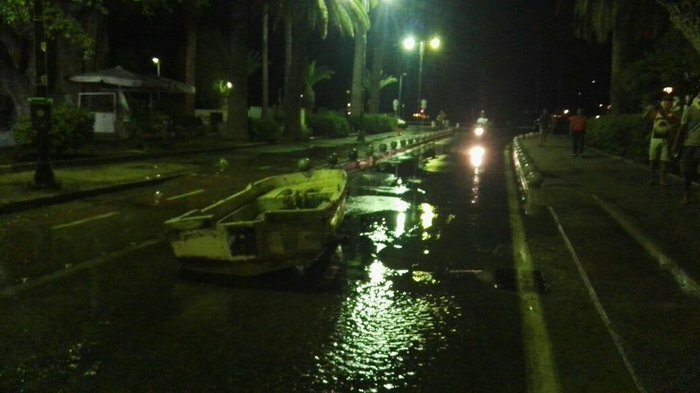 Government officials who rushed to the island say that the port is temporary closed until inspectors arrive to assess the damage. 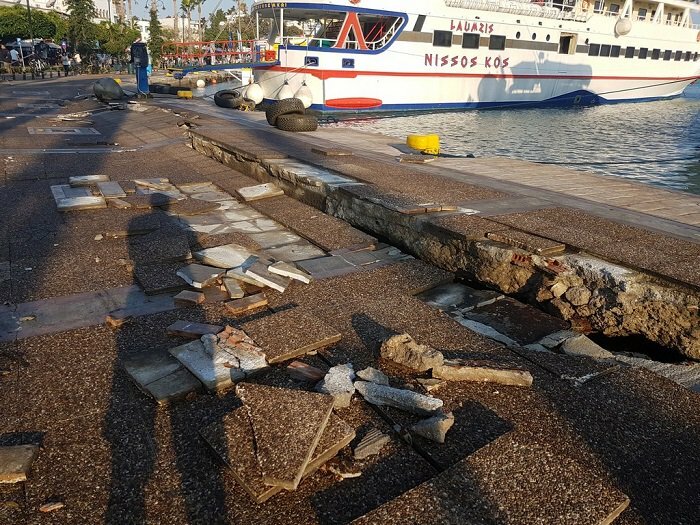 Deputy Minister of Shipping, Nektarios Santorinios, went to Kos to inspect the damage. 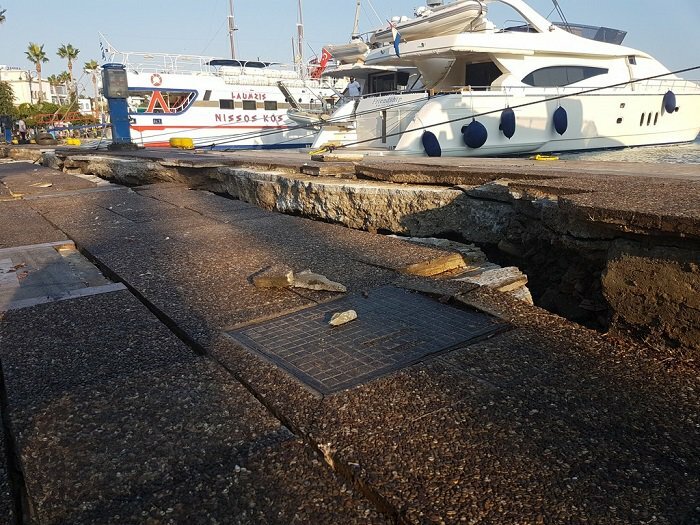 In a radio interview, he said that a large part of the harbor in Kos has subsided, and that efforts are being made to re-establish naval routes through alternative docking points in the island. 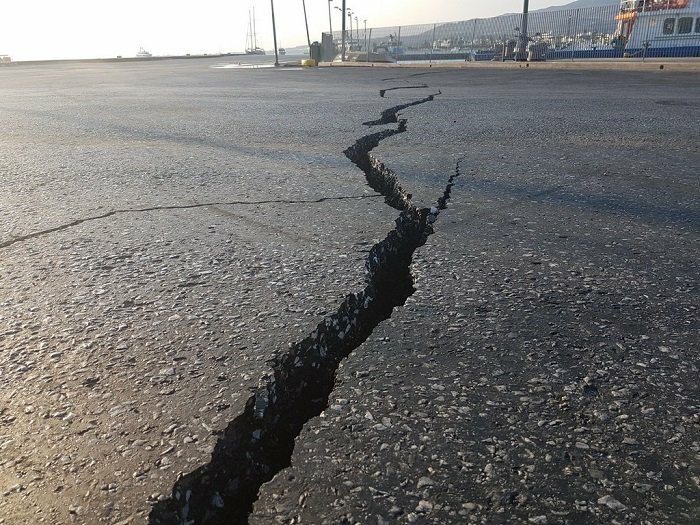 The 6.4-magnitude quake hit 12km north-east of Kos, near the Turkish coast, with a depth of 10km, the US Geological Survey said. At least two people were killed and dozens were injured.